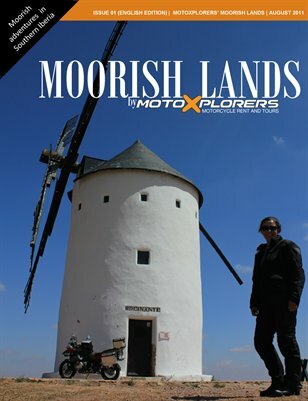 Motoxplorers is a Portuguese company founded by five travel companions. In past years we've motorcycled many exotic and faraway destinations. We've become addicted to this form of travel to the point of deciding to make it a way of living. 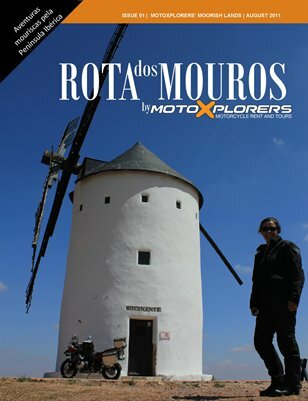 We're established in Lisbon where we have our Motorcycle Rental Station and run an Adventure Store. We also organize tours in Brazil, North West Africa, Central America, Iceland, and of course in our beautiful country. You can find informations about our guided and self guided tours in Portugal and Spain in our website. Although we're very serious about our business, we're avid motorcyclists. We're not some anonymous big rental company, we understand your needs,we do care about you and we'll make our best to help you make the most of your trip. Our motorcycles can be ridden over most of Europe without extra costs and we offer unlimited mileage. Also we don't charge for side cases / top cases. Luggage storage, Hotel booking, airport transfer, GPS, extra helmet or lower seats are just some of the services we can provide to ease your ride. 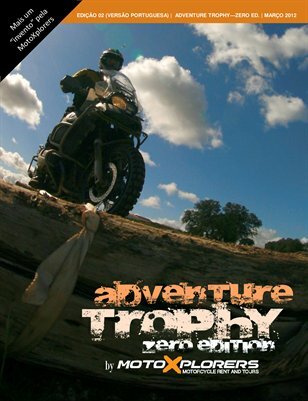 Versão portuguesa da edição Zero do evento "Adventure Trophy"
Print + Digital: $7.20 Digital: Free! Print + Digital: $12.00 Digital: Free!